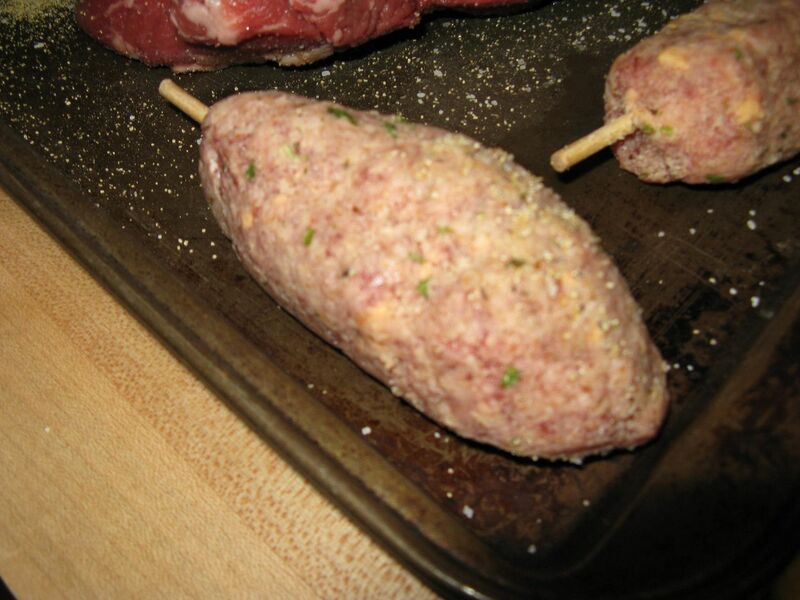 The other day, Hope made an impulse buy at our local butcher and bought some of their Cheeseburgers in stick form. 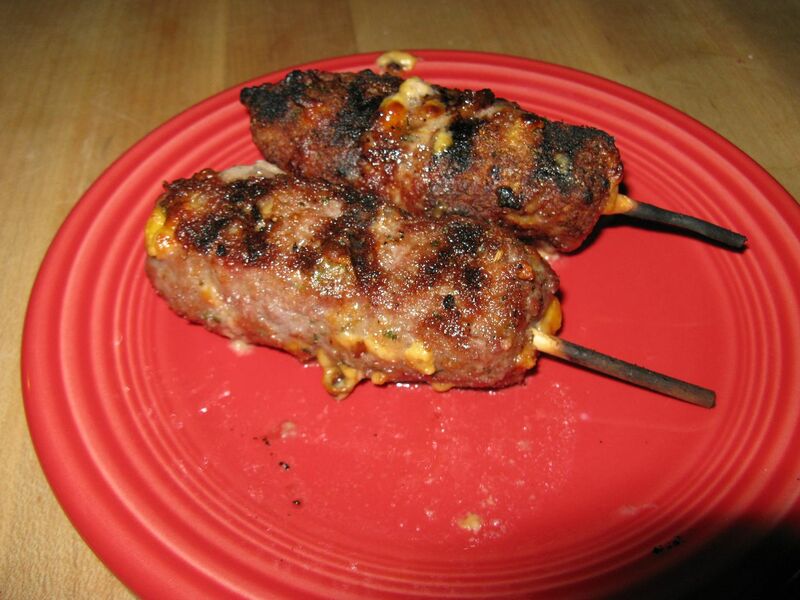 What is cheeseburger on a stick? Well, it is ground round, Hi-Temp Cheddar Cheese that you put in your smoked sausage and beef sticks, and meat loaf seasoning. So, I tossed them on the grill for about 3 minutes a side and gave them a try. How were they? Not bad. The cheese stayed in place and the meat loaf seasoning was not over powering. These flavors mingled nicely with the flavor of the ground round. With a dipping sauce, perhaps a nice chipotle sauce, these would be a great game time appetizer. Time for some experimentation! What will they think of next? I would have a hard problem not burning the stick off with my hot hamburger cooking fire. Chilebrown, as you can see, I came close. I had tongs around just in case. They were good.